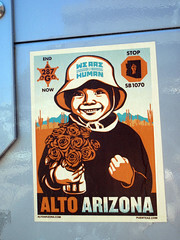 In 2010, the Arizona state legislature passed a blatantly racist law, SB 1070. One of its most notorious provisions (Section B) is particularly loathsome. It requires officers of the law who have “lawful contact” with an individual to make a “reasonable attempt” to ascertain the individual’s immigrant status “where reasonable suspicion exists that the person is an alien who is unlawfully present in the United States.” Two questions arise. First, what motivates the officer to initiate the “lawful contact”? Second, how does the officer arrive at a “reasonable suspicion”? 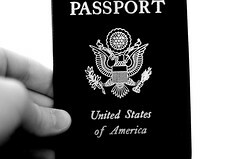 The tool used in both cases is racial profiling. 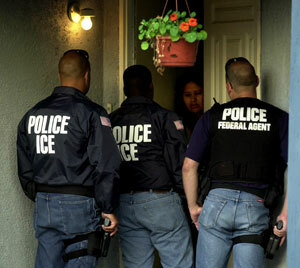 The Obama administration challenged SB 1070 in court. Judge Susan Bolton of the Federal District Court issued a preliminary injunction against sections of the law, including Section B. The State of Arizona appealed Judge Bolton’s ruling to the Ninth Circuit Court of Appeals which upheld Bolton’s decision. 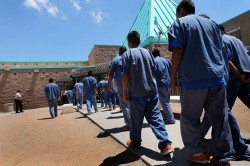 Subsequently the State of Arizona appealed to the Supreme Court, which heard the case on April 25. There was some discussion of Section B during the hearing. Astonishingly, some Justices made comments that suggested support for this provision. 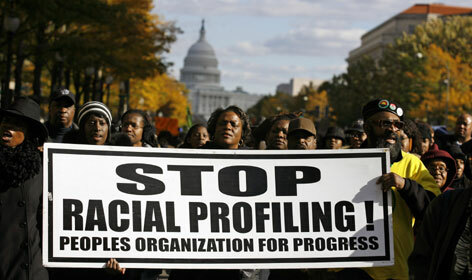 If the Supreme Court rules in Arizona’s favor, racial profiling will be legalized in Arizona for years. What’s next?